Your school-aged kids and teens are close to midterm time and you’ve probably got a sense of what’s working or isn’t in your family’s school year routines. Courtney Harris of Courtney Harris Coaching is the author of this week’s guest post on the importance of routines for teenagers. She and I will be co-leading a workshop on organizing for the Holidays and setting family holiday intentions via Zoom 7 – 8:15 p.m. CST on November 8th. Click here to register for Get Organized & Intentional This Holiday Season. Teenagers, whose prefrontal cortexes— the part of the brain responsible for rational thinking and problem-solving– are not yet experiencing fast-acting connections to the rest of the brain. Therefore, they are more prone to risk-taking, boundary-testing, and inconsistent behavior. Teenagers need structure, including routines, to thrive. Routines help teenagers develop a healthy relationship with their technology and social media, get enough sleep (they need 9 hours on average! ), develop strong study skills, apply to college, build a social life, play, and practice self-care. Additionally, predictable, consistent routines can become an anchor for peaceful mornings, smoothly flowing after-school hours, or relaxing weekend mornings. Routines provide your teens with pathways to independence, resilience, resourcefulness, and self-awareness. Consistent routines support your teen in being self-reliant and practicing self-regulation,. Routines make daily living run more smoothly for everyone in the home. When you, as the parent or caregiver, let go of directing or worrying about the long list of daily needs, chores, and habits, your teen can step into their own agency. And, you can focus on connecting with your teen, rather than managing them. It will take time, and your continued support for your teen to build the routines that serve them best, but, in the end, you will collectively save so much time and stress. How can you support tweens, teens, and young adults in building daily routines that support their social, emotional, and mental development? With patience and focused mutual conversation, time, practice, breath – and these ten tips. Begin the conversation on their cue. If your teen expresses that they are tired or stressed about being late to school or shares another detail that relates to their daily routine, take the opportunity to share conversation about this topic. When possible, allow your teen to initiate this conversation, rather than bringing it up out of context. Normalize the idea of building routines. Share that you, too, are working to build routines that are helpful and that this is a process in progress. Consider discussing how transitions and certain parts of the day can be challenging for you. Begin with a few open-ended questions. 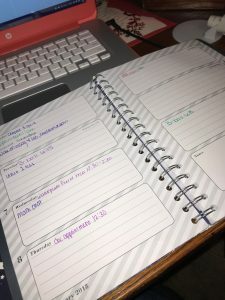 “What steps do you need to take each morning to be ready for school?” or “What parts of the morning seem to set you up for success?” Briefly share your own process and reflection too which will build connection and relatability. Invite your teen to write out the steps that most support them. As they work on their list, you can work on yours. Be sure to support your teen in including rest, play, or relaxation in their routines (and you too)! Let your teen decide where they will keep the list; I have clients who keep them on cork boards in their rooms or on the refrigerator. Discuss the time each step will take. This can include deciding on details such as wake-up time, length of after-school break, amount of time on social media, or how long each self-care or chore routine requires. Give support. Ask your teen how much support they need and want from you and what that support might look like. It might be verbal reminders at first, collaborating on certain tasks, or giving more autonomy. Return to this conversation regularly. It’s always okay to share observations when you see that routines have become inconsistent. Share your observation in a neutral and curious way. “I’m noticing that you are rushing out the door with your breakfast in hand. Is there something in the routine that might need to shift?” Be sure to celebrate what’s working as well. If you and your tween, teen, or young adult are looking for support as you build daily routines and habits, contact Courtney Harris Coaching. 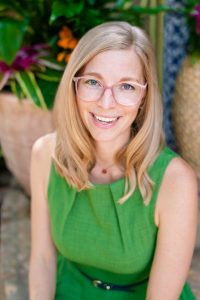 As a Life Coach for Teens and Parents, Courtney supports tweens, teens, and young adults in finding their voice, growing confidence, and thriving. Through 1:1 and small group coaching sessions, teens and tweens are able to overcome anxiety, disconnect, and isolation as they explore their truest sense of self and develop a deep sense of empowerment. Courtney supports parents in practicing self-care and developing balanced sensitivity towards the process their rapidly-changing child is creating. Do you find yourself dreading the holidays or looking back at them and feeling like you didn’t get the “happy” but you did get the rush, stress, and huge credit card bills? No matter what you hope for this holiday season or where you fall on the spectrum of stress and ease, setting intentions and getting organized will help put the happy back in the holidays. Join Courtney Harris Coaching and (me) spaceWise Organizing for a free LIVE workshop to get yourself and your family organized and ready for the holiday season. 7 p.m. CST, Thursday, November 8th on Zoom. Click here to register for Get Organized & Intentional This Holiday Season.